Montreal cab drivers are facing criticism for not accepting credit and debit cards despite a new city bylaw that came into effect on Oct. 15. Under the bylaw, all Montreal cabs must be equipped with an electronic payment terminal and accept payments by credit and debit cards without exception and without supplemental charge. That's not always the case, however, as Montrealer Lisa-Marie Williams recently discovered. Williams told CBC Montreal's Daybreak of four instances recently that cab drivers told her their terminals weren't working and asked her to pay cash. <a href="https://twitter.com/finnertymike">@finnertymike</a> <a href="https://twitter.com/mattgallowaycbc">@mattgallowaycbc</a> have taken 4 cab rides in 2 days. All 4 said credit card machine "currently not working, cash only." She said her refusal to pay cash coincided with their card readers starting to work. Sylvain Tousignant, director of development for the City of Montreal's taxi bureau, said he's not surprised to hear some cabbies aren't taking electronic payment. The new rules are only three months old and there are bound to be growing pains, he said. "We're going through a change here… It doesn't happen overnight. But I can tell you we have 11,000 cars and drivers and a lot of them have been implementing the change so far," Tousignant said. Anyone who takes a cab that doesn't accept electronic payment can call the City of Montreal's Taxi Bureau at 514-280-6600 and file a complaint. Tousignant said the bureau hasn't received any complaints, but inspectors have issued 50 warnings to drivers for not implementing the bylaw. Fines range between $125 and $375 for not accepting electronic payments. 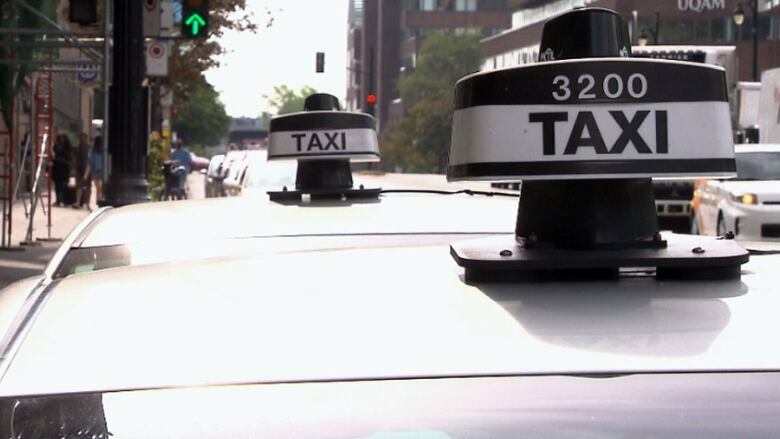 Tousignant said it's important that customers report infractions of the new bylaw in order to help Montreal reach its objective of having the "best taxi service in North America." Williams, meanwhile, has made up her mind and she'll be taking Uber from now on.